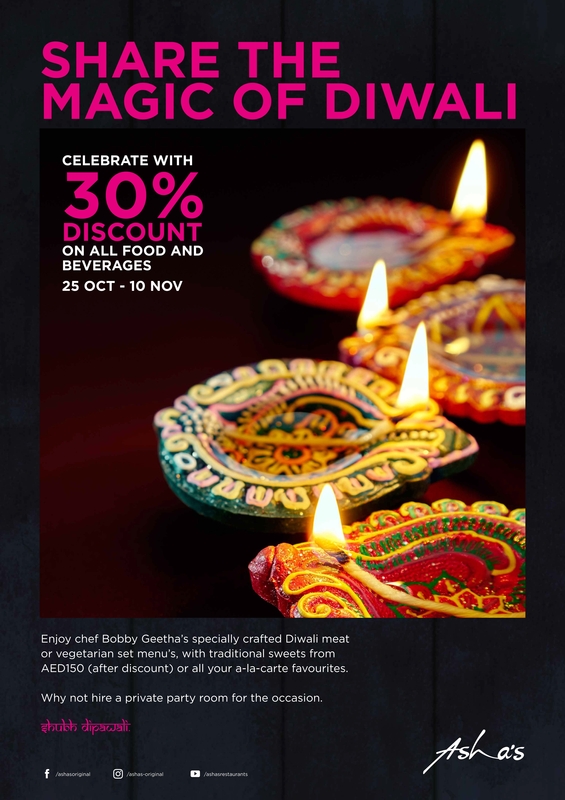 In celebration of the festival of lights, enjoy 30% off our food and beverages on our Dubai menu from 25th October to 10th November! Let the celebrations begin! 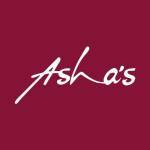 Asha’s is the worlds first international Indian restaurant group, currently operating ten restaurants in six countries around the world. This unique concept combines the delights of North West Indian cuisine with contemporary decor, bringing its diners a true sense of modern Indian luxury. When Asha’s restaurant first opened its doors in WAFI City, Dubai back in 2002 it was with one purpose - to share with its guests Asha Bhosle’s passion for great Indian food. Since then, Asha’s Restaurants have opened around the world. Ideal for small gatherings with friends, corporate events or special family celebrations our restaurants are both popular with local residents and tourists alike. With over ten restaurants planned to open over the next five years in the Middle East, UK, North America and beyond - our restaurants, just like the Asha Bhosle, will continue to impress the world for many years to come.